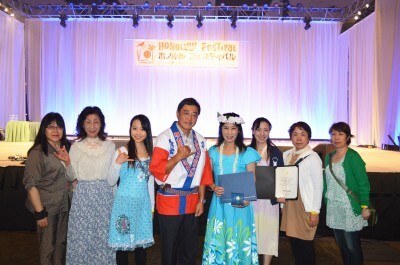 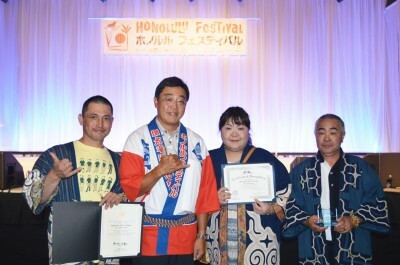 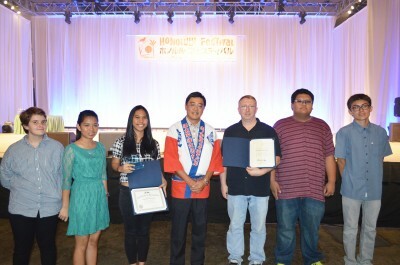 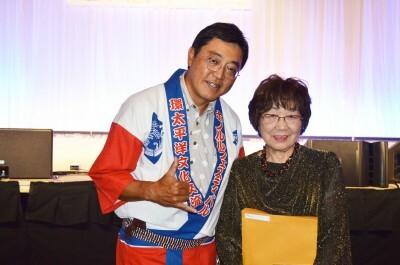 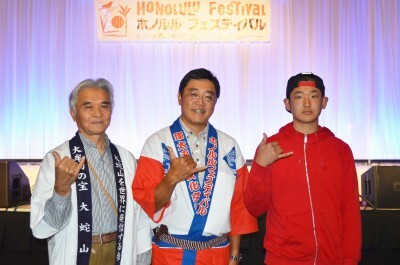 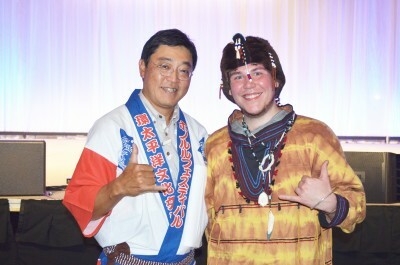 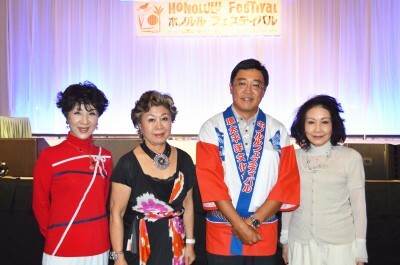 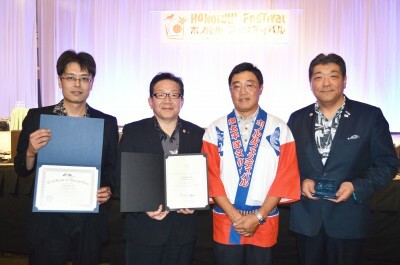 The Honolulu Festival held an award ceremony called the Best Contribution Award in honoring those devoted participants who have contributed for many years. 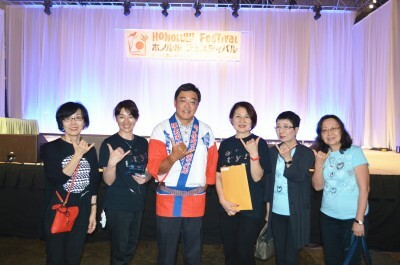 We would like to express our appreciation to everyone who came to Hawaii from overseas for building friendship through cultural exchange. 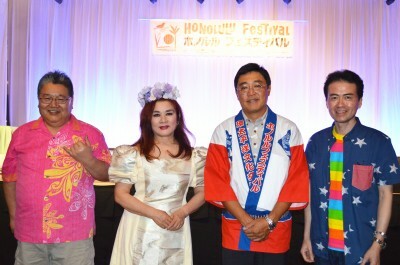 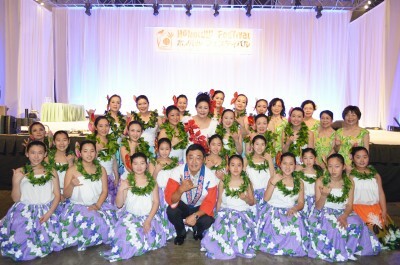 Thank you very much for representing the essence of Honolulu Festival to the world. 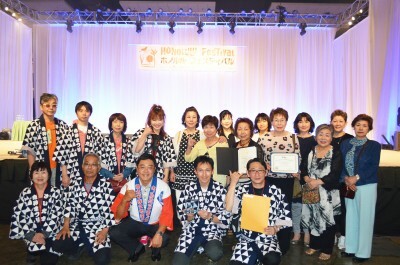 A total of 29 participating groups were given the award! 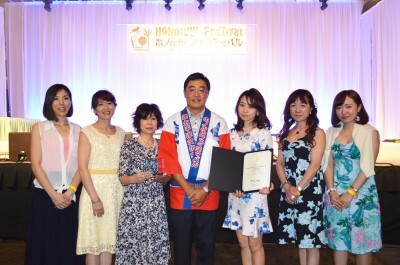 Also, the award ceremony was held at the Hawaii Convention Center on Friday, March 6, 2015 which was presented by Mr. Tsukasa Harufuku, president of the Honolulu Festival Foundation. 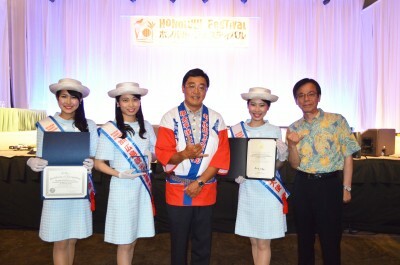 Furthermore, 14 participating groups who participated in the ceremony took pictures with President Harufuku to commemorate their special moment.